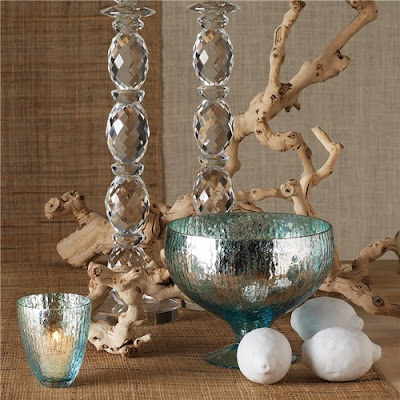 Lush Fab Glam Inspired Lifestyle For The Modern Woman: Creating A Fabulous Work Space. 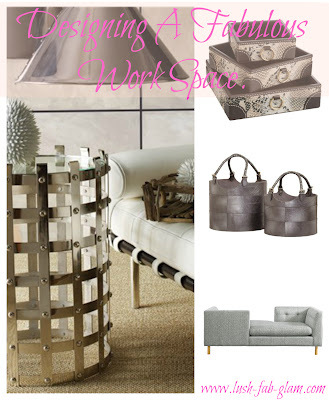 Creating A Fabulous Work Space. What if we told you that your work space does not have to be drab, boring, depressing or add to your daily stress? Your office space says a lot about you, how comfortable your clients feel in your work space can often make or break a deal and a cluttered, disorganized work space can create a negative mood and affect your ability to work effectively. So why not create a work space where you can relax in style and comfort with contemporary furniture and fabulous decor. 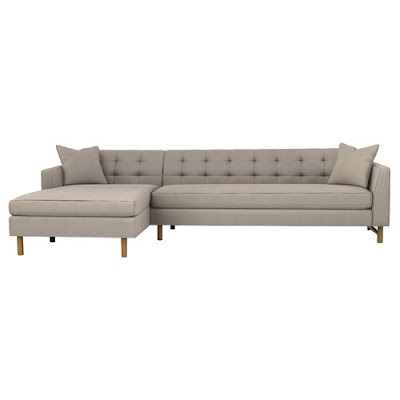 Add a beautiful sofa or sectional for when you host clients or hold meetings. Get the perfect ottoman to complement your existing furniture, add unique pieces that fuel your creativity and inspire your work and use beautiful decor pieces for storing and organizing your office essentials. Read on to see some of the creative ways to turn your work area into a fabulous work space whether you work from home and use a designated room, have a large office in a high-rise building or a humble desk and leg room in a cubicle. Instead of using the mediocre office depot pen and pencil holders, paper trays and plastic or cardboard boxes to store your books, reports and other every day work essentials. 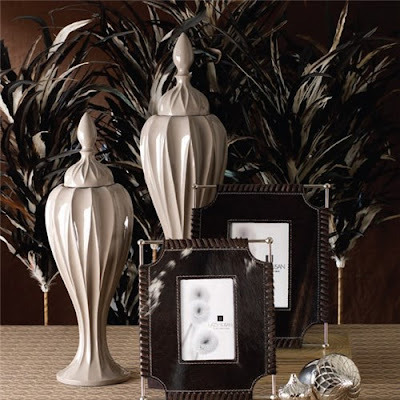 Opt for beautiful decor pieces that are just as useful but add a fabulous touch to your work space. 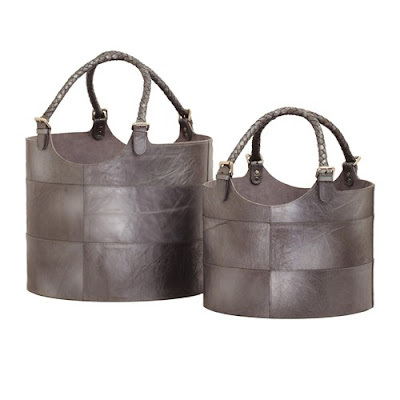 Use these faux leather storage buckets to hold your books, reports, folders, magazines and to store your personal effects like your sunglasses, scarf etc while at work. 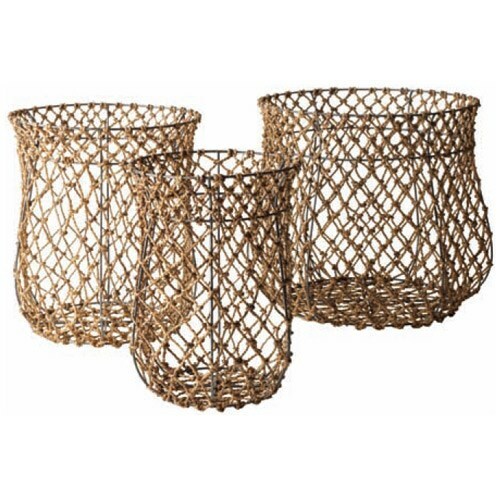 Place them below your desk for easy access and to keep them out of the way. 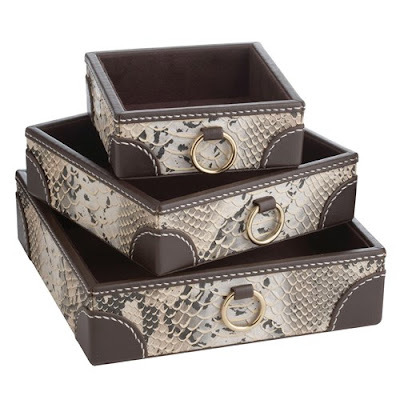 These faux snake skin trays are the perfect place for storing your notes, paper reports and files that you need for the day or week. Place them on your desk away from your immediate work space but close enough for easy access to the documents you need. Use these beautiful baskets to store everything from your pencils, pens and staple holders to markers and paper clips. To create a beautiful and inspiring work space and unify your design. These lotus taupe containers, can double as vases and are perfect for displaying your flower bouquet. You can also use them to store your favorite healthy or candy snack bar in a discreet way. Add sea colored votives and beautiful assorted shape and size shells to create a relaxed mood in your work space. 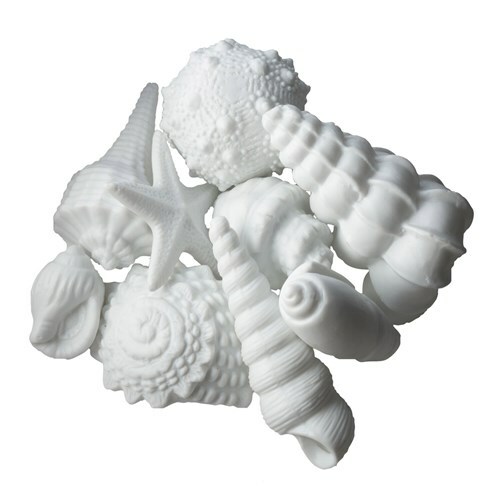 These will be especially useful in high work stress days when a thought of the beach is just what you need to calm your nerves and put a smile on your face. 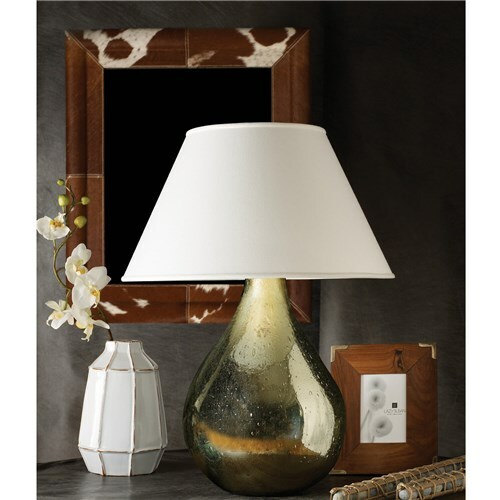 Add a gorgeous mirror like this caramel faux pony mirror to make a style statement and attract high end clients. If you are lucky enough to have a large office, take advantage of all the space by adding beautiful furniture pieces that are not just comfortable but inspire your creativity and turn your office into an inviting space for your clients. 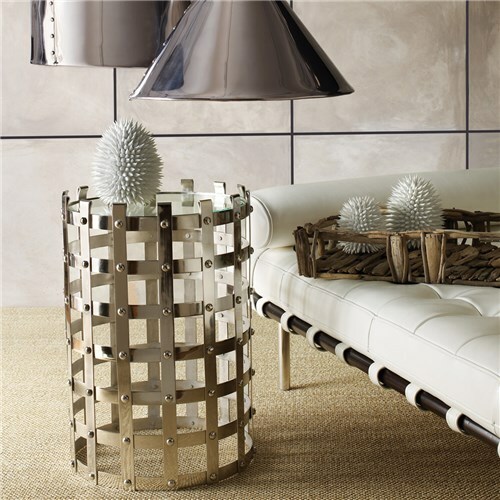 A unique center table like this lazy Susan metal strap table is the perfect way to break the ice with a new client since it's a wonderful conversation piece. Plus it's design shows that you think outside the box. 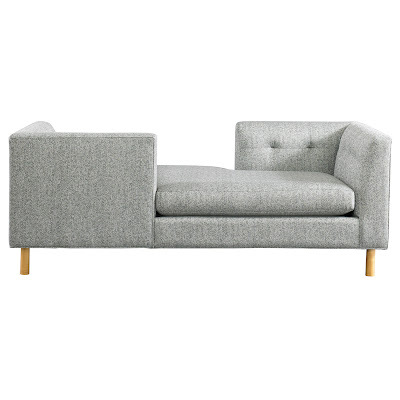 Add a beautiful upholstered chaise like the one shown above or the sofa and sectional shown below to create comfortable seating in your office, or in the waiting room. Your clients will be grateful you did. Plus they are also perfect for quick office brainstorming meetings. Love what you see? All of the fabulous upholstery furniture and Lazy Susan decor featured above are currently on sale at Zinc Door. Get 15% off with promo code SOFTSEAT valid through September 15, 2013. Which decor or upholstery furniture would you love to have in your work space? Leave a comment below.